My 1-2-3 Cents : Rumble Ramblings: Will 2016 be 1999 all over? 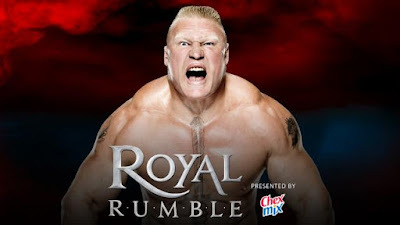 Like Kevin, I have been watching past Royal Rumble matches in preparation for this year’s event. One of the matches I re-watched was the 1999 incarnation. This is, in my opinion, the worst Rumble match and was a clear indication of the problem with the “Attitude Era.” Unfortunately, I see some parallels between the 1999 match and the lead-in to the 2016 match. Hopefully this year’s Rumble won’t live down to my criticism. 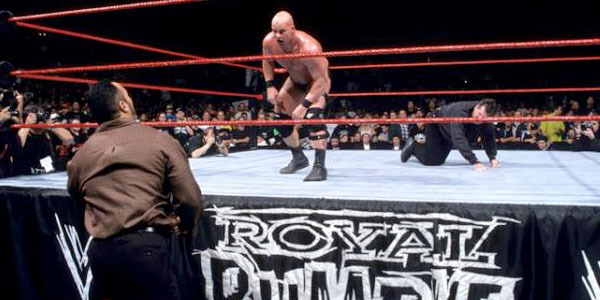 Going into the 1999 Rumble, Vince McMahon did not want Steve Austin to win the Rumble. 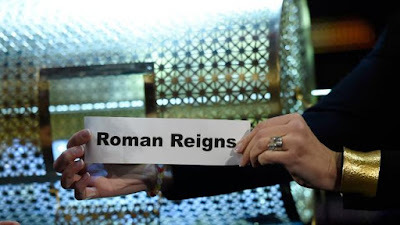 In order to try and prevent a third consecutive “Stone Cold” victory, Vince rigged the drawing to have Austin enter in the number one position. Along with stacking the deck, Vince put a $100,000 bounty on Austin to be paid to whoever eliminated the Rattlesnake. This is actually a detail I think the Authority should add to this year’s match. Give the other 29 competitors another reason to attack Roman Reigns during the match. While Vince thought he’d gotten one over on Austin, Commissioner at the time, Shawn Michaels declared Vince McMahon would be the number two entrant. The third man in the Rumble was Golga. When Austin was eliminating Golga, Mr. McMahon left the ring, jumped the ringside barricade and ran off. Austin followed close behind to what turned out to be an ambush in the men’s room. The Corporation attacked Austin so badly; he had to be taken from the arena in an ambulance while the Rumble continued. For fans that weren’t in the men’s room watching the beat down, they were treated to the following Superstars continue to fight in the ring. Kane had his first dominating performance before eliminating himself when the guys in the white coats came in to try and restrain him. Another non-elimination elimination. After Corporation member Ken Shamrock entered the Rumble, Mr. McMahon briefly returned to the ring before leaving to go join the announce team. Vince is on commentary bragging about the beat down to Austin when the camera cuts to backstage where the Ministry is dragging Mabel out of the arena. Conveniently at the same time, Steve Austin drives the ambulance back to the arena much to the chagrin of Vince McMahon. Eventually the Rumble match comes down to Vince and Austin. Austin is toying with Vince when the Rock shows up to distract Stone Cold allowing Vince to dump the Rattlesnake over the top rope and collect the $100,000 bounty as well as the title shot at Wrestlemania 15. Go back over the list of Rumble entrants I listed. Was there anyone in the audience who would have expected one of those listed to win the Rumble match? Now add in the lack of any real star power for roughly half of the Rumble and you can start to understand why I consider this to be the worst Rumble match. Now looking forward to the upcoming Royal Rumble and we have a similar situation brewing. The Authority doesn’t want Roman Reigns to win. In fact, he's the number one entrant. Going over the announced names on WWE.com, of which there are only 13 listed, the only names that I could honestly see winning are Reigns, Brock Lesnar and possibly Sheamus. Given that the Rumble match this year is for the WWE Title, having 30 competitors of whom more than half can’t be seen as potential winners is not a good thing. Even though I think this years Royal Rumble is the most unpredictable Rumble in quite a few years, I still have fears that we’re going to get some form of history repeating itself and if that’s the case then I fully expect Triple H to walk out of Orlando as WWE Champion. I hope I’m wrong but as the saying goes, those who fail to learn from history are doomed to repeat it. And right now WWE seems to really want to do Austin/McMahon 2.0.